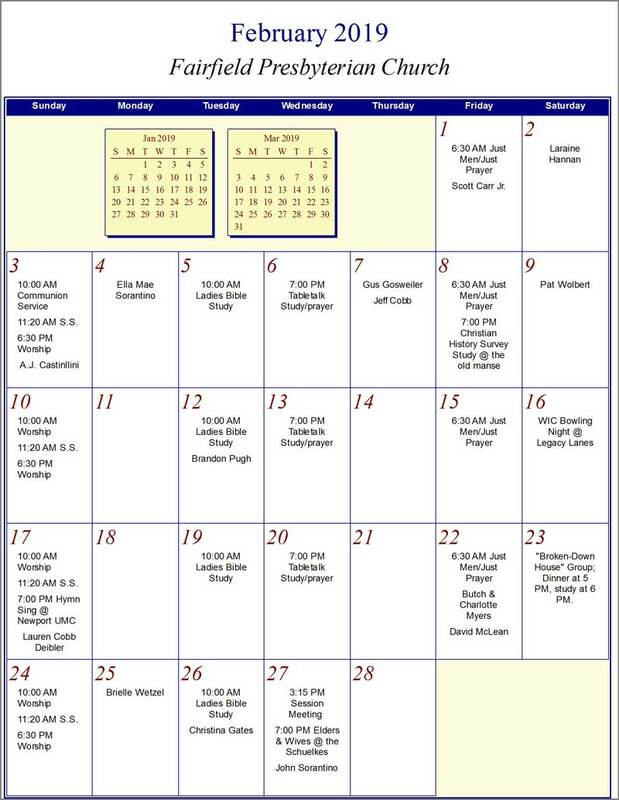 Fairfield Church Calendar for 2018-2019. 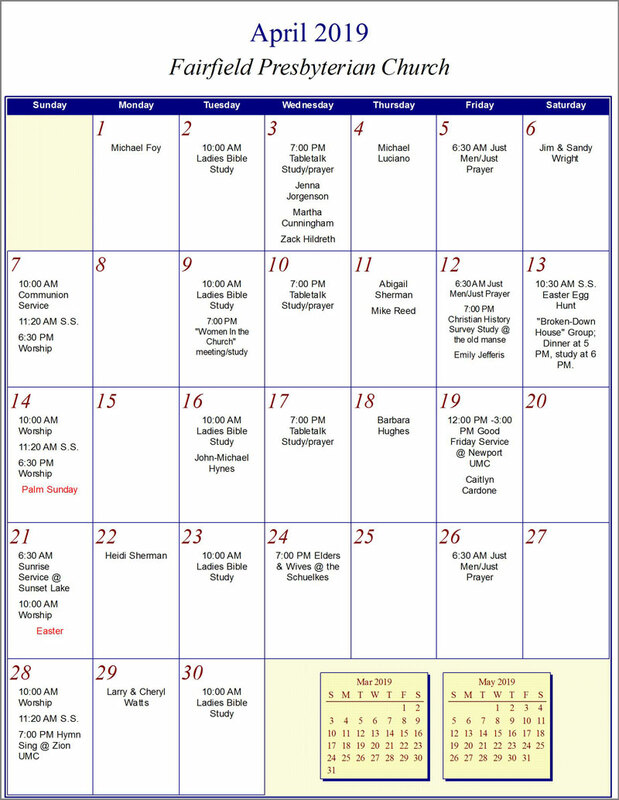 Calendar shows Fairfield Church Activities for the month. 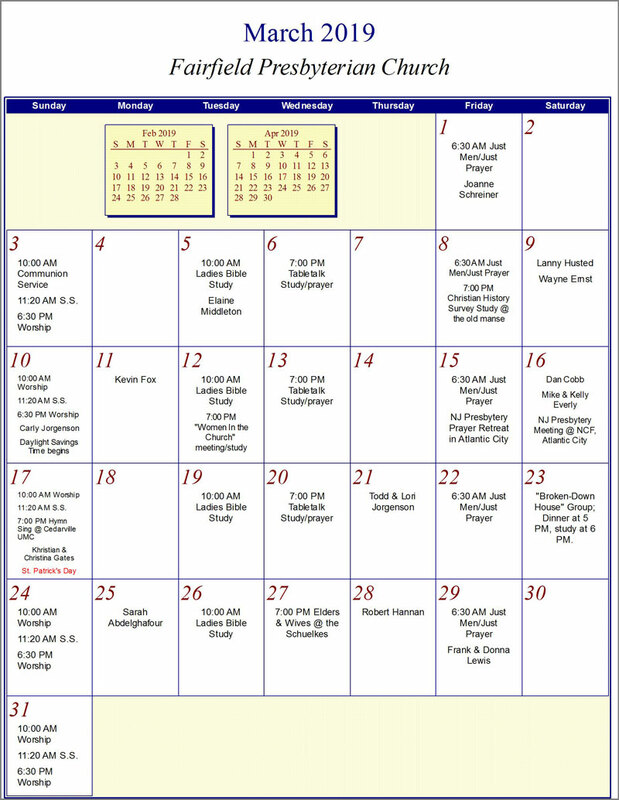 Want more information about a calendar activity? 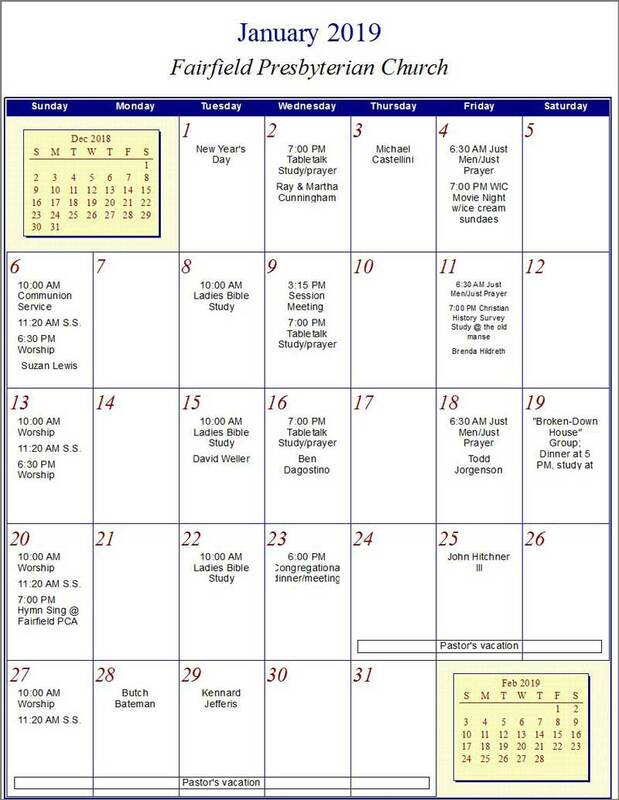 Visit our Facebook page for more activities. Click here.